With many consumers looking for companies that offer environmentally friendly products, it’s no surprise that some technicians want green carpet cleaning certification courses. There aren’t any classes available for this purpose yet, but there are some close alternatives. The Institute of Inspection, Cleaning and Restoration Certification, or IICRC, offers a number of textile treatment classes and is considered the industry leader on this front. 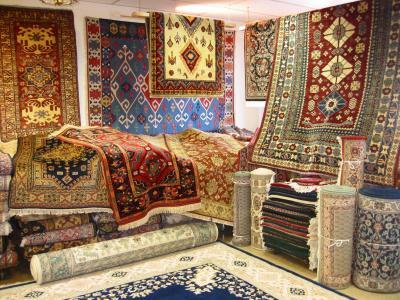 Its coursework concerns the most up to date methods for treating flooring and other textiles, including upholstery. Some of this methodology includes earth-friendly techniques, which should make environmentally concerned consumers happy. While there are not any “official” green carpet cleaning certification classes at this time, there are several ways to lower the environmental impact of treatment. Machines that use less power and water are a common method for reducing environmental impact and are used by many firms around the country. The IICRC’s coursework introduces technicians and firms to this technology, so IICRC-trained professionals are aware of them. Power and water efficient machines help out with conservation and are effective at treating flooring. Technology in the industry is improving all the time and is gaining in efficiency. Firms that maintain their education through the IICRC will be familiar with this technology. Many consumers worry about the impact their carpet cleaning technicians are creating on the environment, but IICRC trained professionals are able to keep this impact to a minimum. Improper disposal techniques can contaminate groundwater if not disposed of correctly. Some of these chemicals can also cause health complications, like nausea, dizziness or fatigue, if they are not used correctly during the job. This is particularly troublesome for children who spend a lot time playing on the floor. Many professionals who use green carpet cleaning techniques have received certification through the IICRC and can avoid using these chemicals in an unsafe way. Technicians can learn some green carpet cleaning methods through IICRC certification, as well as many other industry disciplines. Water and fire restoration courses show students the proper way to identify and repair water and fire damage. In the wake of a natural disaster, a firm can have a large impact on the environment if they dispose of destroyed material improperly. Companies that aren’t trained to do so may dump waste or contaminate groundwater with poor substance handling. IICRC water and fire restoration classes show professionals how to properly deal with a job site, and how to maintain environmentally friendly standards. The health and safety course the IICRC offers shows technicians and firms how to maintain proper safety conditions, and how to identify and contain hazardous materials. This is important if a company is to keep chemicals and polluting waste from affecting the environment. There may not be any green carpet cleaning certification classes available to technicians in the industry, but learning the most up to date methods will help a firm make the right choice when handling a job. The IICRC’s courses are the most comprehensive classes for professionals in the field, and can teach technicians a number of treatment options. For these reasons, most consumers consider IICRC trained technicians to be the best the industry has to offer.